Stevia. Stevia powder. I think a lot of us have heard about this product, but as far as artificial sugars I have never used it.Never even thought of using it, just because I enjoy me my caster sugar so much.Buuuut… let’s be realistic. In today’s world, majority of our diseases are lifestyle related. As much as I say I want to eat a full pan of brownies, topped off with milkshake and fries, I doubt I would ever actually do that. Because I know of the sugary heartache to follow. Quite literally. Doing it for a special occasion, go ahead, but I do kind of want to enjoy brownies everyday. Maybe not to that extent, but to some! So artificial sugars are starting to become more popular. When I say artificial sugars, of course I do not mean disgusting, manufactured clumps of ‘cardboard sugar’ as I call it. I mean a natural substitute which is just… not sugar.Here is where NuNaturals come in. 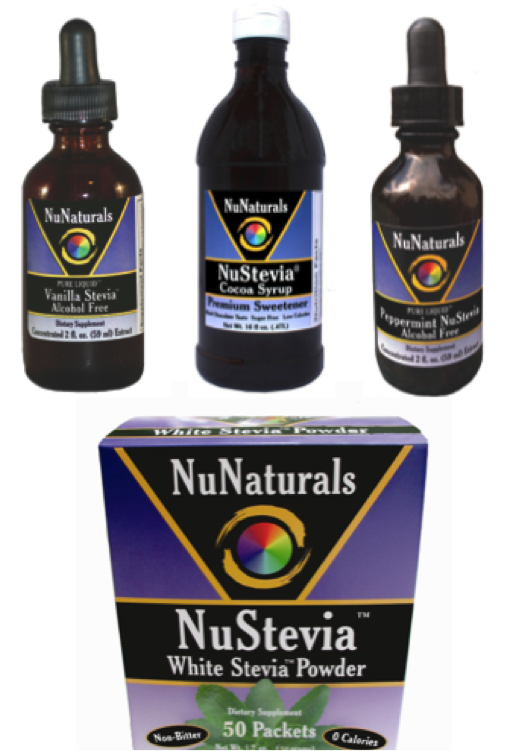 Of course, their website actually offers everything you could possibly want to know about it, but basically NuNatural’s flagship brand is NuStevia. Stevia products ranging from on-the-go packets of powder, as well as liquids with all natural flavours like peppermint and lemon. This just goes on and on, but the main aspect differentiating NuNaturals is that there is no MSG, no soy, milk, sugar, synthetics or artificial colours/flavours at all in their products! Meaning you really are just consuming 0-caloric, yet still sweetening, produce, deriving from a sustainable agriculture as opposed to being genetically modified. I know, it may sound like I am throwing terms around, but you have to understand. In a world like today, where chemicals are consumed more than real food (and I am SO guilty of this! ), where we can go green and natural, we should definitely take the chance! Regardless of how this is the healthier option, I had still never used it, so as excited as I was at receiving the lovely large shipment the company sent for me, I was daunted. How do I replace my beloved caster sugar!? 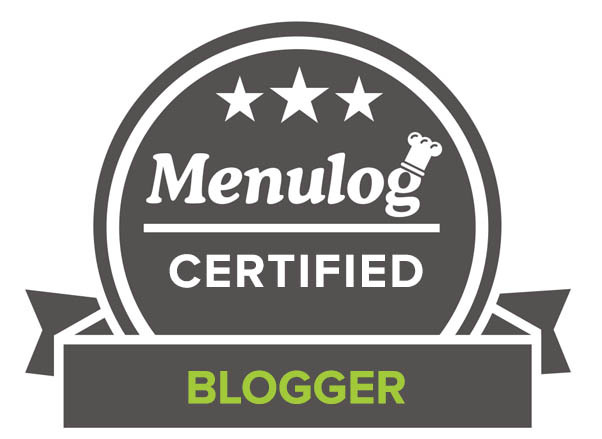 Well, after reviewing all the recipes the company sent me as part of their global collection, taken from other bloggers and chefs, I feel like I am beginning to understand how to use the various products. The product I started off using in this particular recipe was the NuStevia White Stevia Powder. I am not going to deny that my family was not used to the slight aftertaste the sugar substitute gave us, but I was forewarned by many a blogger beforehand! But right now, I am starting off slowly, then will begin to integrate these products as I go along in my baking. I hope you will join me for the healthier ride to come! Who knows, you may be able to win my MASSIVE giveaway, and not only join me for the ride, but grab hold of the steering wheel!! Well, how utterly rude of me! For three weeks now, I will be giving 4, yes, 4 readers the chance to win a prize pack of NuNatural products worth over $50! + a little extra surprise bonus! And I am running this giveaway extra long so everyone has an opportunity to enter 🙂 – then try my recipes, try their recipes, try just putting it in your tea and seeing the awesome difference it makes! Terms: Effective till June 30th. Ok, so I think I have told you enough! In future posts to come, keep a look out for recipes using all these wonderful NuNatural ingredients! Good luck to everyone entering, but now I bid you adieu with the command to HAVE YOUR CAKE AND EAT IT TOO! Disclaimer: Go Bake Yourself was sponsored by NuNaturals Inc. and was sent all the products seen in this post. The giveaway is also sponsored by NuNaturals Inc. However, all opinions, thoughts and uses of the product and company are honest and unbiased. I love, love, love this recipe!!! I want to make it since I’ve never baked with stevia (yet). And I grow stevia, so am a bit of a fan. Definitely entering your giveaway!! This looks so pretty and delicious! I have tried powdered stevia before, but the aftertaste was so strong and it gave me terrible headaches 😦 I.ve heard the liquids are better though, so I still need to try those! 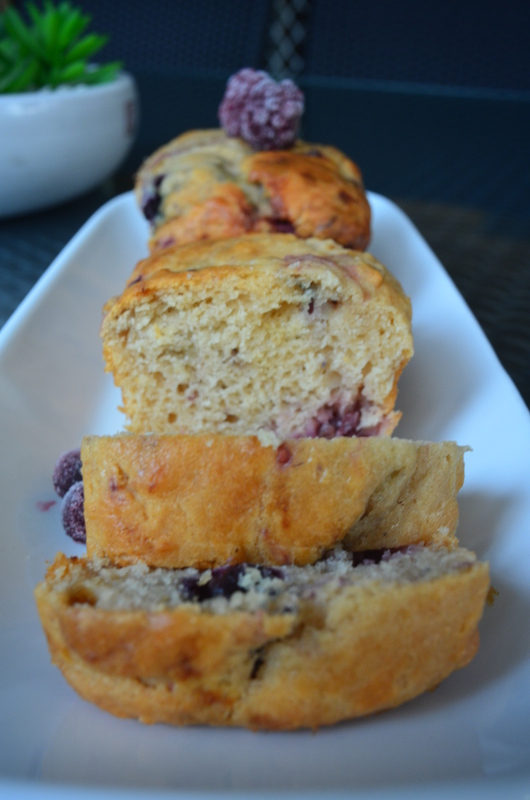 I would use stevia in baking muffins and breads mostly. That bread looks amazing! Never tried stevia before, but I have heard that it’s better than splenda since it’s natural. I’m learning about artificial sweeteners and NuNaturals seems to be popular! I am one of those who has always noticed a slight bitterness in stevia and had wondered if this new product really changed that so your comments are interesting. I sometimes combine sugar with stevia to reduce this. Until a few days ago I didn’t know I could grow Stevia in my garden. Boy was I surprised! Your cake looks like it should be on my counter right now and thanks for the giveaway. I have been forever contemplating about using Stevia in my baked goods. I love regular sugar too much but my Mum is diabetic so I thought it might help. Your post is certainly helpful. That cake looks totally delicious! What a fantastic competition! I love that you made the little loaves. I have one of those pans and everything I make in it looks so damn cute! 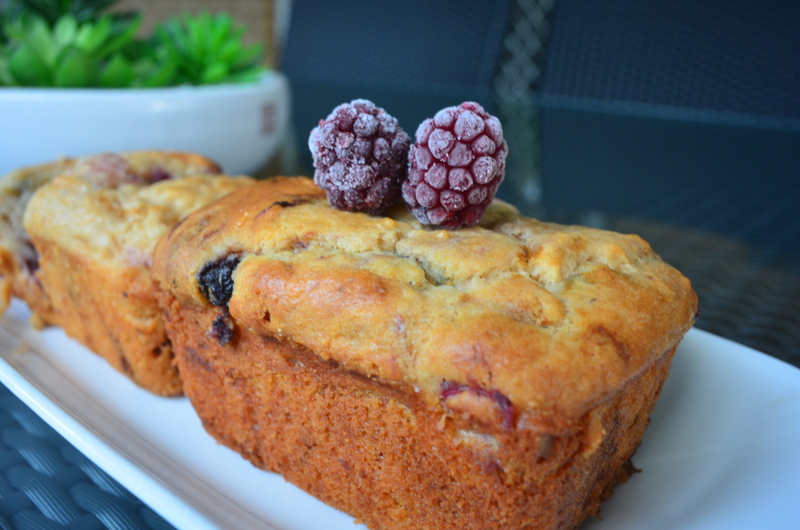 I love this cake healthy and delicious! I’m glad you liked NuNaturals! I use it exclusively. Stevia is such a great sub – did you know you can actually buy a stevia plant and use the unprocessed leaves to sweeten too? Thanks for the great giveaway! I’d love to try THIS bread!! 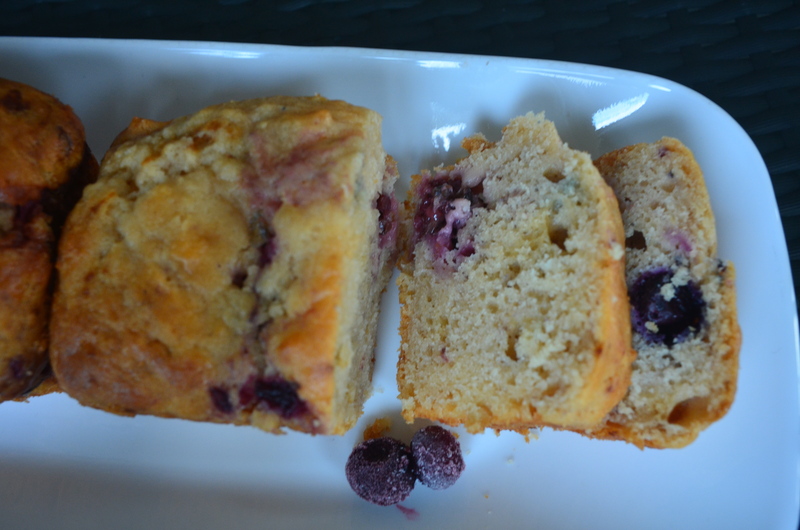 Love the look of your berry cream cheese bread. This is the kind of thing that I would love to have for breakfast. Have not tried baking with stevia. and have not used sugar substitutes for anything before. Great to read about what you thought of it. I am not really a stevia fan, but you have done well my little friend, coming up with this deicious bread. I haven’t really experimented with baking with stevia much, but I do use it in my coffee and oatmeal all the time. i feel like nothing i make with nunaturals would be as amazing as this bread–bravo! love how you’re so willing to try new things 🙂 What fun! Great job! It looks so soft and moist. Your recipe looks great Uru but I think I’ll make it using regular sugar or honey. I’ve tried Stevia and there’s something about the taste and texture on my tongue that I don’t like very much. Hey, I’m glad that Nunaturals is offering you a giveaway too! Awesome! I received the whole package of the products long time ago. The products were good I must say. Since we hardly take anything sugary at home, my friends were glad to receive them from me. The bread is simply divine and I know divinely it must have tasted. This is great! I’m always on the lookout for this that are healthy(er) and satisfy my sweet tooth! Hello CCU, This bread looks lovely and it makes you feel better when you can have something a little naughty but a little better for you. I have not baked very much with Stevia but would like the chance to do so. What a way to cut out sugar and still eat yummy food! 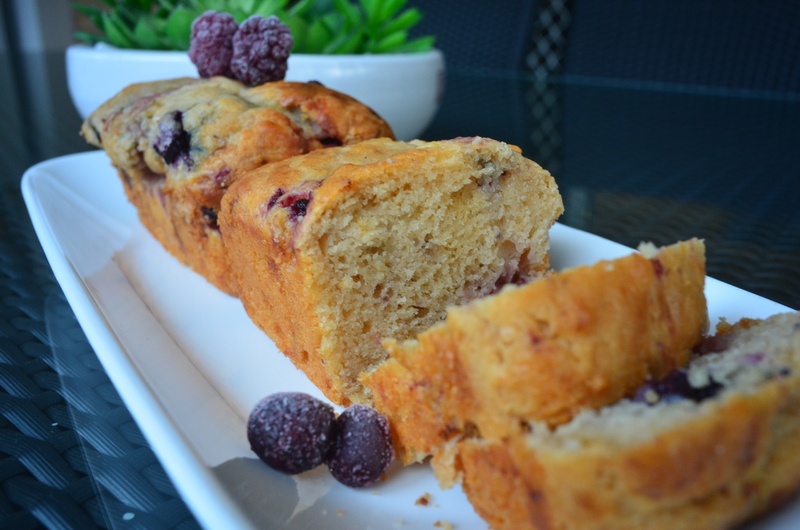 Your berry bread looks amazing! You’d never guess that you didn’t use sugar! 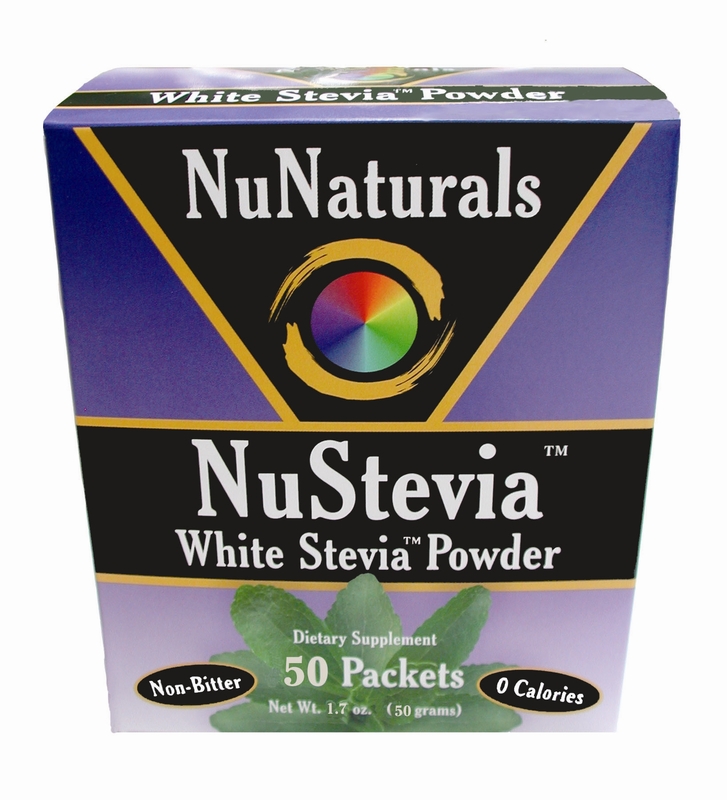 I love Nunaturals stevia. I’m dying to try the chocolate syrup! I’d use it over ice cream! I also really want to make some peppermint chocolate chia seed pudding, mmmm. I don’t care what you used as the sweetener, this bread looks quite yummy and moist. What a great cake! This looks absolutely amazing! I adore this…boy I want to give this recipe a whirl. Thanks so very much for sharing! I love your site so much! This cake looks delicious – and great news that it is lower in calories than your usual cake. This bread looks amazing. I myself have never used sweetener substitutes before but these products sound great. I’m intrigued! I think I would definitely want to try baking healthy treats with it! Oh goodness, that bread looks incredible and oh so moist! YUM! I quite like stevia and I know I’d love your berry cream cheese bread. Lovely to hear about this new company. We’ve never used Stevia. Though about it, just haven’t pulled the trigger. Maybe we will some day — certainly this great looking dish would be the perfect way to try it. Good stuff — thanks. I always think that sugar substitutes just won’t stack up in baking. You have proven that wrong. These look marvelous! Good to hear there are companies producing healthy alternatives as this! Some claim they are natural, but they actually just hide the chemical in a name or something. Thanks for sharing! Great info! Well I already use stevia as an additive to my morning cereal that I eat with no-fat greek yoghurt (Jalna is the best! Lowest amount of carbs and sugar! ), and I add stevia to pretty much anything that usually would need sugar. So this NuNaturals product would be perfect for me! I absolutely love love love baking carrot cake, and for the carrot cake recipe that I use (http://foodfortina.blogspot.com.au/2014/01/recipe-moist-eggless-carrot-cake-also.html) , I’ve modified the ingredients to contain less brown sugar and more sweetener, and the results are amazing! The carrot cake is denser and more moist, a perfect cake for afternoon tea 🙂 Stevia’s great, it’s healthy, there’s been nothing bad said about it in the media/research, and I love it! Oh I LOVE NuNaturals products!! I can always use more! 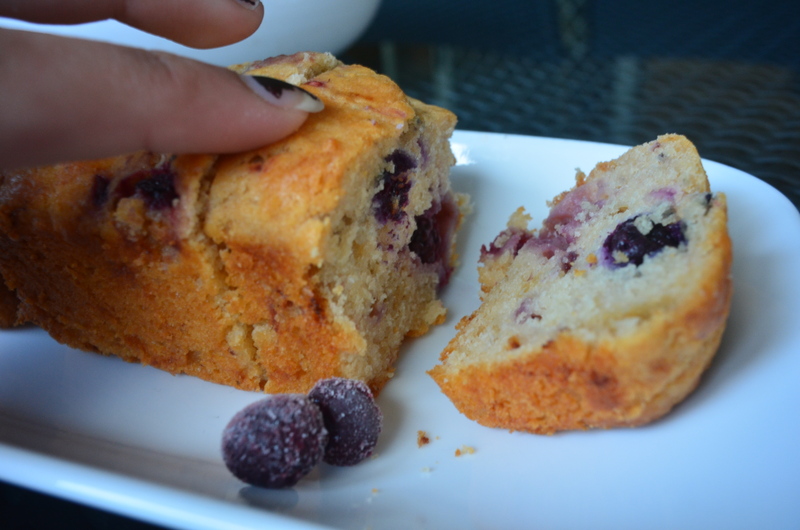 My fave for baking is the MoreFiber bakign blend – if you received some you must try it. 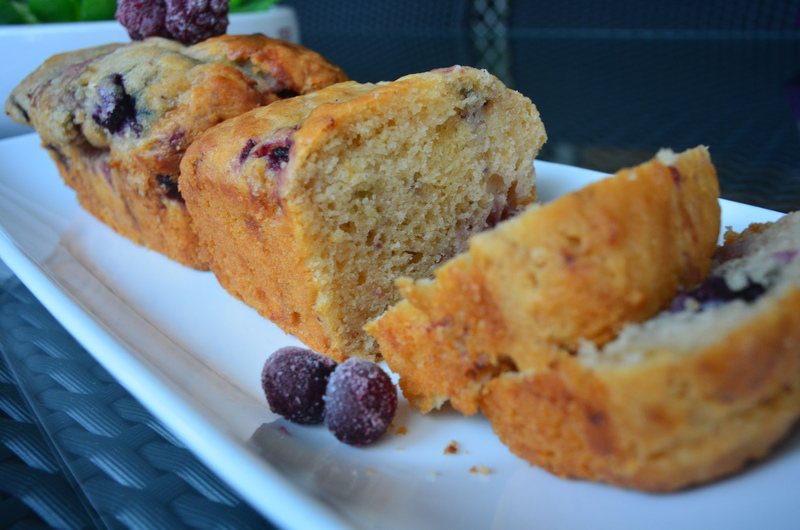 I have a banana bread recipe using it on my blog – to die for. 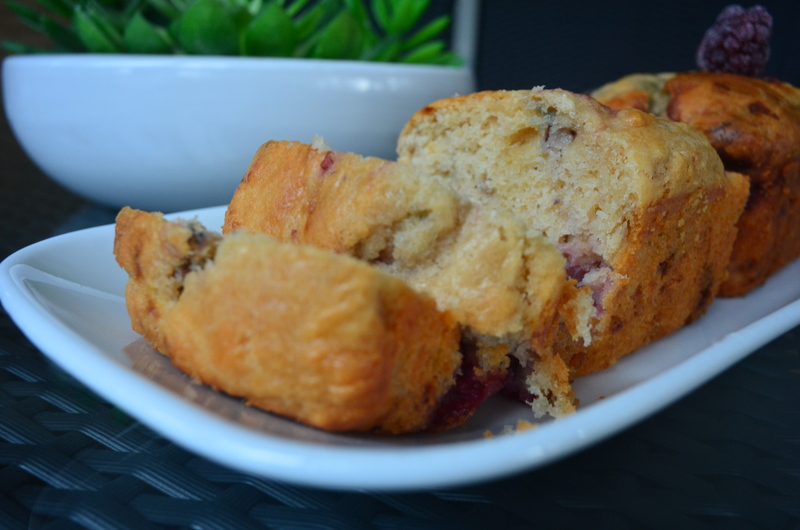 It makes breads so light and tender, almost like cake, but you do need more liquid in your recipes. Anyway, if I won, I would use it up in EVERYTHING!! I just love it so much. The loaves look great, so moist and delicious. I have never baked with stevia, I have a bottle (unused) I have a hard time parting with my sugar but based on your excellent recommendation I will give it a try. I have been working in the garden the whole morning so a slice or three of this would hit the spot with a lovely cup of tea. Have a beautiful weekend CCU. o yes, I love stevia and use it in tea, baking and many others. Your berry cheese cakes look marvelous, Uru. I was all on board with the agave band wagon and have yet to try stevia. Looks and sounds great, Uru. I will have to try this recipe and stevia both soon!